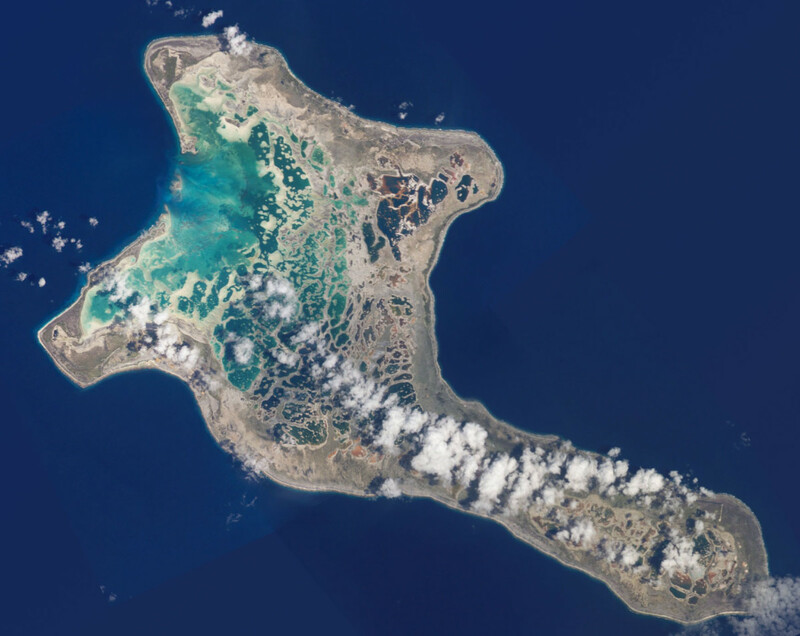 Kiritimati, as seen from the International Space Station. 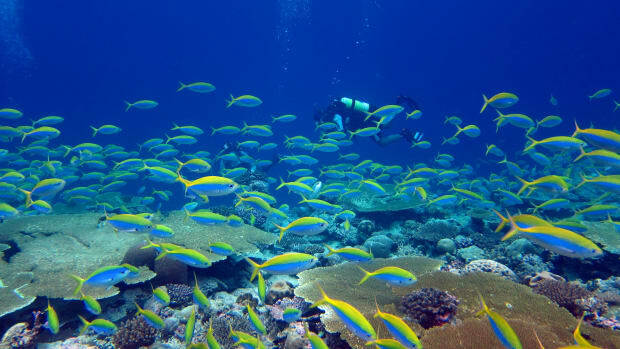 In 2009, Julia Baum began studying the effects that fishing practices have on coral reefs in Kiritimati, a roughly 150-square-mile coral atoll in the Pacific. When she went back to the island in 2016, Baum was greeted by a starkly different sight: She found the reef at her study site had been nearly wiped out by a spike in water temperatures. The heat wave, brought about by a devastating combination of climate-induced ocean warming and a particularly robust El Niño event, bleached corals all over the globe between 2014 and 2016. "On Kiritimati we saw that virtually every coral bleached," says Baum, an associate professor at the University of Victoria in Canada. "It was so intense, it was a wake-up call for me to the imminent threat of climate change." 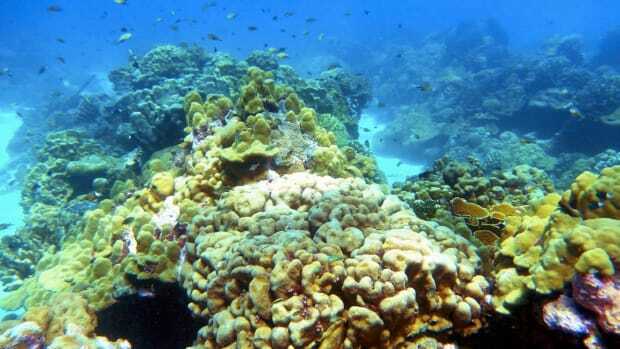 With time, coral reefs can bounce back from bleaching events. But in a new study, Baum and her colleagues show that over the last four decades bleaching events have become increasingly frequent, diminishing reefs&apos; ability to recover. Bleaching events don&apos;t kill corals outright, but they do set corals on what Baum calls "a trajectory toward death." 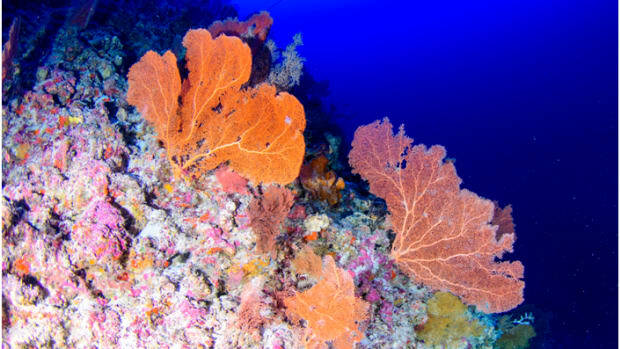 Healthy corals have a symbiotic relationship with microscopic algae called zooxanthellae that live within coral tissues and give reefs their vibrant colors. Corals get nutrients and energy from the algae, and the algae get shelter. But under heat stress, corals kick out their algal symbionts, leaving behind nothing but a ghostly white skeleton. "The coral is still alive at that point, but it starts to starve to death," Baum says. "If temperatures go back down within a matter of weeks, the corals can take up those algae again and recover." The trouble is, those warm spikes are becoming increasingly common and severe thanks to human-induced climate change. Since the 19th century, global surface temperatures have climbed by about one degree Celsius. 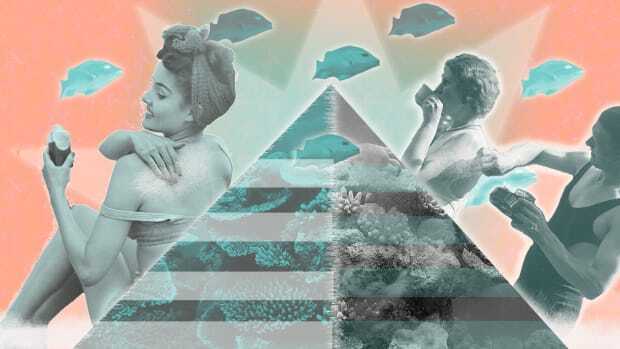 Though ocean temperatures have risen at a slower pace, marine ecosystems, and coral reefs in particular, are especially sensitive to slight changes in temperature. To get a better sense of what effect all that anthropogenic warming means for coral reefs, Baum and her colleagues collected data on all the bleaching events that occurred between 1980 and 2016 across 100 reef locations around the globe. The results, published today in Science, show that, in the early 1980s, severe bleaching events—in which more than 30 percent of corals in a reef are bleached—were expected to recur every 30 years or so; nowadays, the time between severe bleaching events has fallen to just six years. For comparison, even the fastest growing corals can take 10 to 15 years to fully recover. 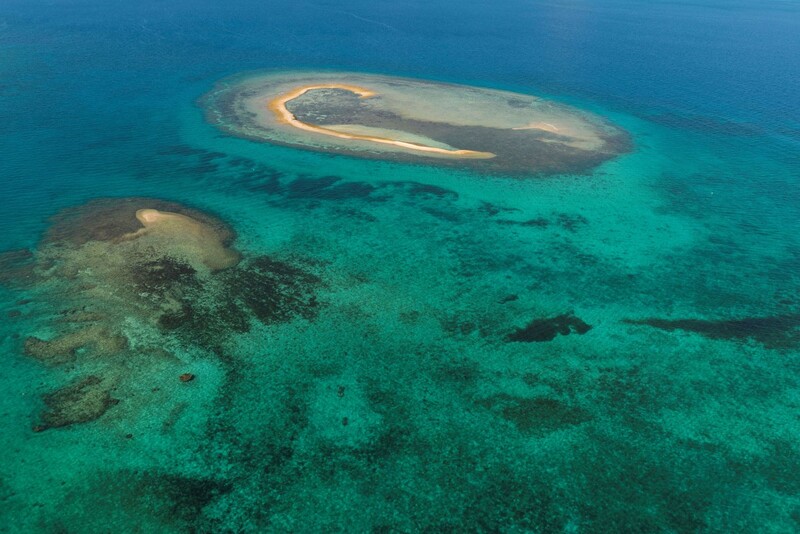 An aerial view taken on February 27th, 2016, shows coral reefs in New Caledonia in the South Pacific. Previously, bleaching events only occurred during El Niño years, when the water temperatures in the Pacific are above average. "In the past, if it wasn&apos;t an El Niño year, we didn&apos;t worry about it," Baum says. Now, as the ocean has warmed, bleaching happens almost as often just in warm summertime conditions, regardless of the phase of the El Niño-Southern Oscillation cycle. Since 1980, 42 percent of severe bleaching events have occurred in non-El Niño years. "The reason that is particularly worrying is because El Niños don&apos;t happen every year, but if bleaching can just happen in any summer, we&apos;re seeing an increased likelihood of annual bleaching," Baum says. Yearly bleaching events would almost certainly drive coral reefs to extinction. 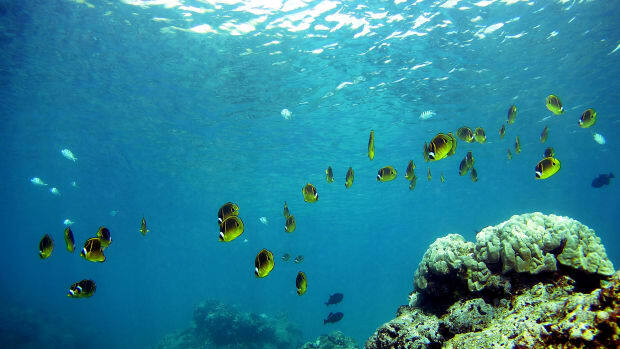 Baum has seen first hand what that would mean for the globe&apos;s reefs. In the years since the 2015–16 El Niño killed off nearly 90 percent of Kiritimati&apos;s corals, Baum has seen few signs of recovery. "The coral died very quickly but the structure is still standing," she says. "It&apos;s overgrown by algae, it&apos;s like a ghost town."